I woke at 10:10 precisely on 10/10/10 and got to work. I staked a young tree to keep it growing upright. I created a new potato bed and dug in some tubers. I harvested seed for the Spring. I sowed some winter crops. I did some garden layout work to extend the vegetable plots. I composted and tidied and tied and trimmed…and I planted a bagful of horse chestnut seed – commonly called “conkers”. This tree has fallen prey to a pest in the last few years, the leaf miner moth, possibly because the winters are more mild and the nights warmer. What’s the future for the Horse Chestnut tree ? Will the horse chestnut suffer the same fate as the Elm tree ? Will they all be cut down and burned ? When I was a child, every day I walked through an avenue of horse chestnut trees planted many decades previously. They gave me shade and joy. These grand old dames with their magnificent scented flower cones, and shiny nut fruit that look good enough to eat, have become racked with the moth. Their nuts are smaller, their Summer leaf canopy dry and patchy, striped brown and wrinkled, giving the trees the appearance of being bent, ramshackle and wizened. Apart from aesthetic reasons, why are horse chestnut trees so important to keep ? This beautiful, bountiful and beneficial tree needs protectors, sponsors. We need to grow more young chestnuts, and breed them over generations, and find those resilient to the moth. We need to plant horse chestnuts in ones and twos, isolated from others of their kind, in amongst other trees, to try to protect them from disease. Maybe we need to grow them with mesh around their trunks so that infected leaves can easily be cleared. 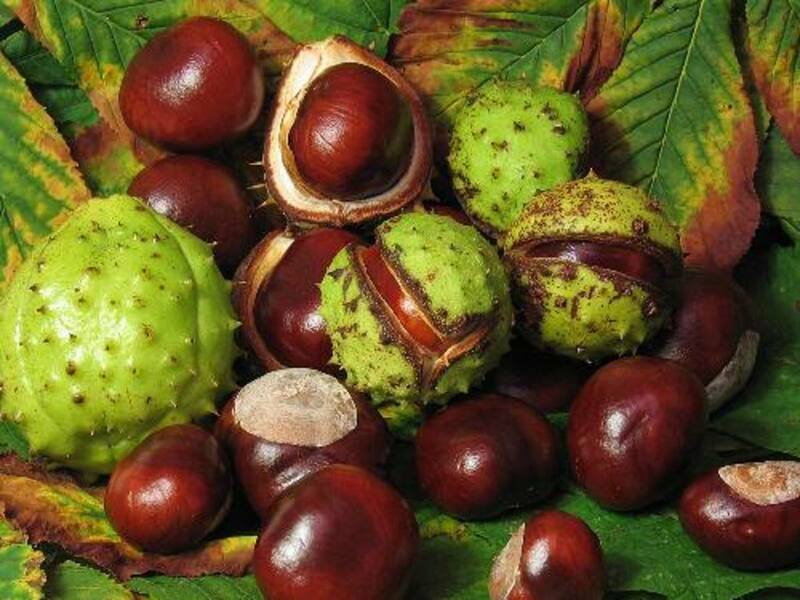 The advice of one of my elders and betters is that conkers kept in the wardrobe keep away moths. Maybe, in the nut, there is a chemical that poisons the leaf miner moth pupae ? Somebody needs to do the science. I know where a young, healthy elm tree is growing, one of the few that has survived the ravages of Dutch elm disease, and it will grow and multiply, with care. Protecting tree species is not a pastime, a vain pursuit for wealthy naturalists. Tree biodiversity is critical – to enable efficient use of the land as Climate Change advances. Trees can provide shelter, building materials, food, fuel, shade, protection for smaller plants, and soil and groundwater management. If we look after the trees, they will look after us.